Welcome to the fourth, and final, installment of my “healthcare freedom” blog series I have done this week. The inspiration came from a federal report that recommended reforms that states could make to increase choice, freedom, and competition in the healthcare sector. Each of the issues that I have highlighted this week are issues that North Carolina should change to benefit patients and providers here in our state. In part 1, I discussed “Certificate-of-Need” Laws, which North Carolina still uses. In part 2, I looked at “Scope-of-Practice” reform which would allow medical professionals to practice at the top of their license. In part 3, I examined how state licensure requirements and the lack of recognition of those licenses in other states creates unintended high costs and lower access than if they were more widely reciprocated across state lines. mental health services, dermatology, ophthalmology, specialist-to-provider consultations in neurology and pathology, and direct-to-consumer services for minor conditions. reduce costs, and generate improved short- and long-term health outcomes. Nonetheless, a variety of regulatory barriers have kept telehealth from reaching its full potential to increase competition and access. State laws and regulations typically require that providers be licensed in the state where the patient is located, thus restricting the provision of telehealth services across state lines. State licensing requirements and variations in scope of practice are barriers for even well-established and natural telehealth services, such as mental and behavioral healthcare. 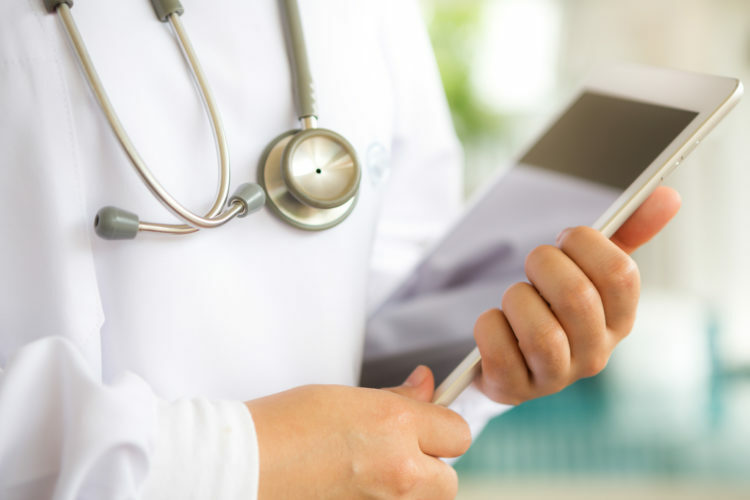 Public and private reimbursement laws and policies are also frequently cited as major impediments to the development and use of telehealth services. For example, Medicare fee-for-service pays for telehealth services only when patients are located at certain types of healthcare facilities (“originating sites”) in rural areas with a shortage of health professionals. Another barrier is that states may require practitioners to have first provided services in person before caring for a patient by telehealth. The regulations discussed above are contradictory to the benefits of telemedicine. Technology connects us with people around the world. Its the same idea with telemedicine. Using your smartphone or computer, you could connect with physicians around the country to receive the type of care you need. However, if there are regulations saying that you can’t use the service with out-of-state doctors, the potential of this idea is severely hindered. The regulations used to govern the use of telemedicine should make it easier to use, not harder. One of those regulations is payer parity laws that require equal reimbursement from insurers for services covered by telemedicine if the service would have been reimbursed for an in-person visit. Health benefit mandates for private insurance contribute directly to the high cost of insurance. With the natural rise of telemedicine’s use, there is no need to try and mandate that it be covered. Let the market make this adjustment and let private insurers realize the benefit of this service without imposing costly mandates. If you take away one thing from this “healthcare freedom” blog series this week it should be that regulation, while usually implemented with good intentions, always leads to unintended consequences. In the case of healthcare regulation, the laws usually hurt consumers and providers. The very people who should be in charge of personalizing care for the patient and working to achieve the best health outcomes. It should not be regulation that tries to govern the way we get care in this country. As I’ve ended the previous parts of this series, the call for less regulation shouldn’t worry people. There will still be a high standard that medical providers must meet in order to perform medical services over a telemedicine platform. This innovation is supposed to open up access and decrease the cost of care for those all around the world. Regulations that govern this service should, again, increase and encourage the use, not make it harder and more expensive to use.